Bright and cheery featuring 2 bedrooms plus a den. At 1417 sq. ft, this is the more spacious model in the community, featuring extra storage. Airy home with tile floors throughout the kitchen and living areas, as well as high ceilings and natural colors ready for your personal touch in furnishing and decor. Screened patio allowing you to enjoy the Florida tropical breezes. 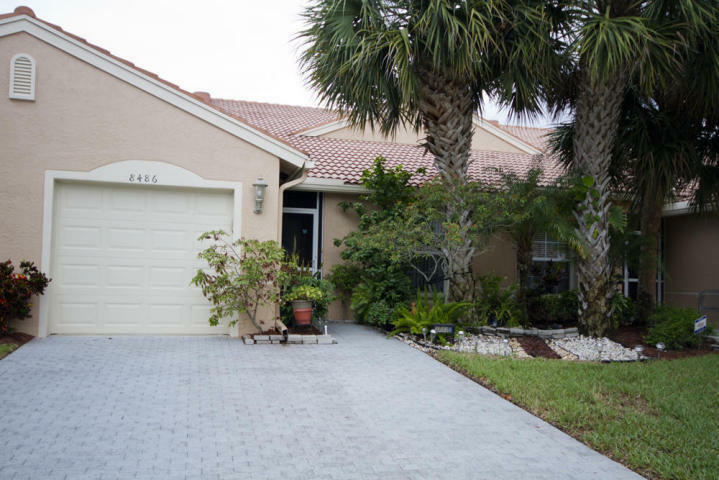 Venetian isles is a gated community with access to the 26,000 sq. ft clubhouse featuring two pools, tennis courts, theater, ballroom, billiards, large party room, arts and crafts room with kiln, fitness center, and card room allowing you to get acquainted with this active community. Great home to start enjoying your resort lifestyle and the room to entertain family.